This romper is ideal for little boys. Pin tucks and piping make this perfect for a special outfit. 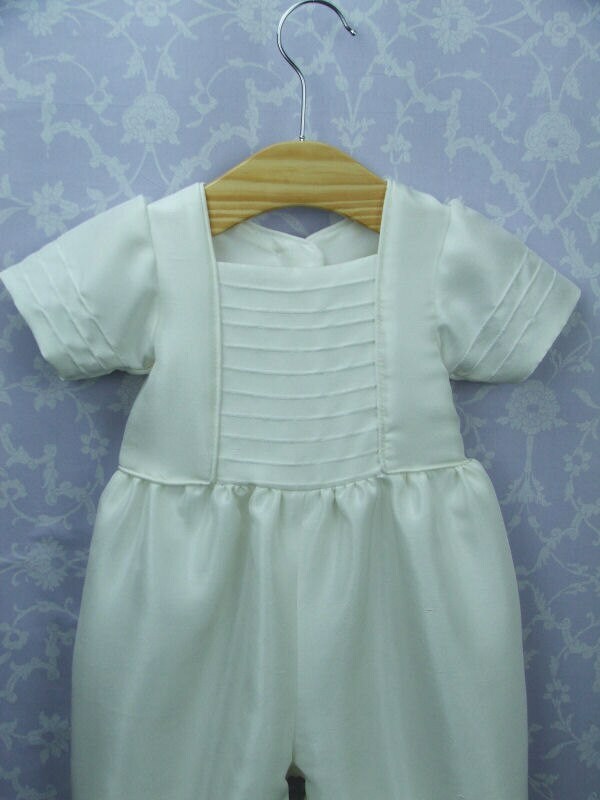 Square necked with a panel of pin tucks running down the centre of the outfit. 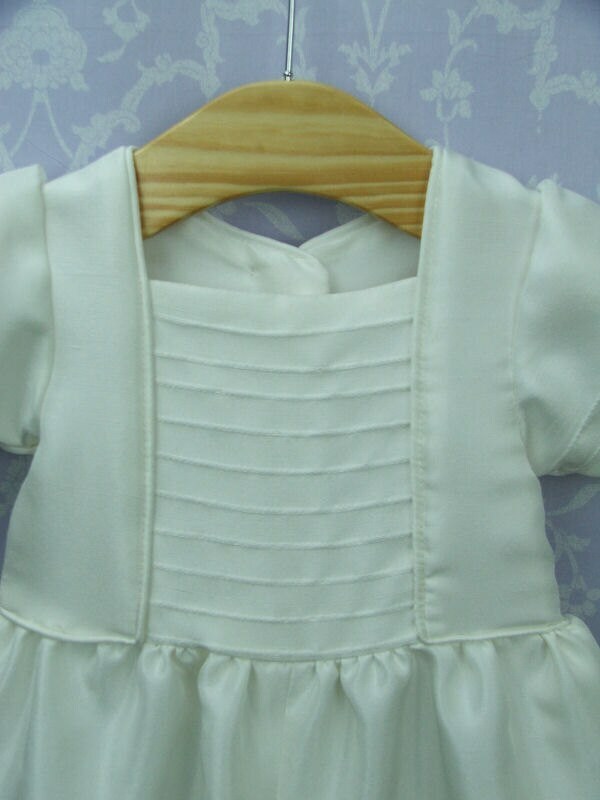 Fine piping runs around the neckline and down the pin tuck panel and around the body to present a tailored look. The simple capped features 3 pin tucks to match the body. 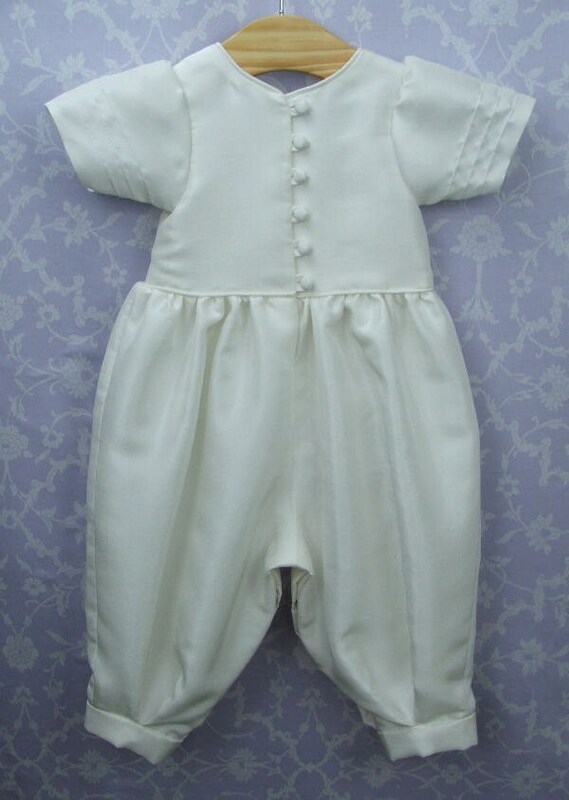 Cuffs on the ankles and traditional popper opening around the romper legs allows easy access. An additional opening run down the centre back being finished with covered buttons and rouleau loops. 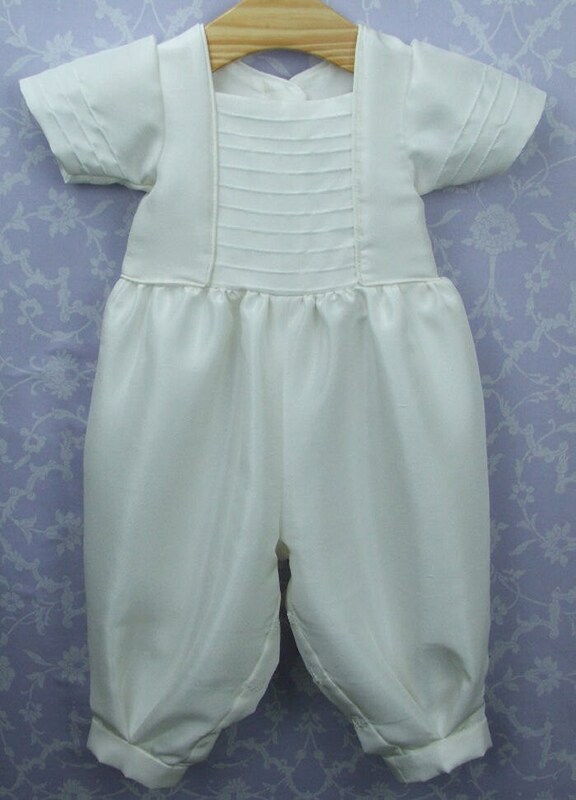 The main romper is 100% dupion silk with a synthetic lining. Please note the nature of dupion silk is such that it has a natural finish that includes variations in the weave occasional slubs (thicker strands) that are all a characteristic of this beautiful silk.